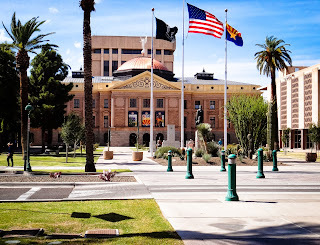 I visited the state capitol building of Arizona. Inside is a museum, outside is a nice park. 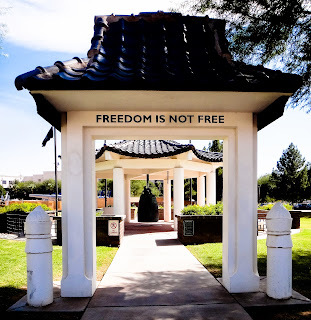 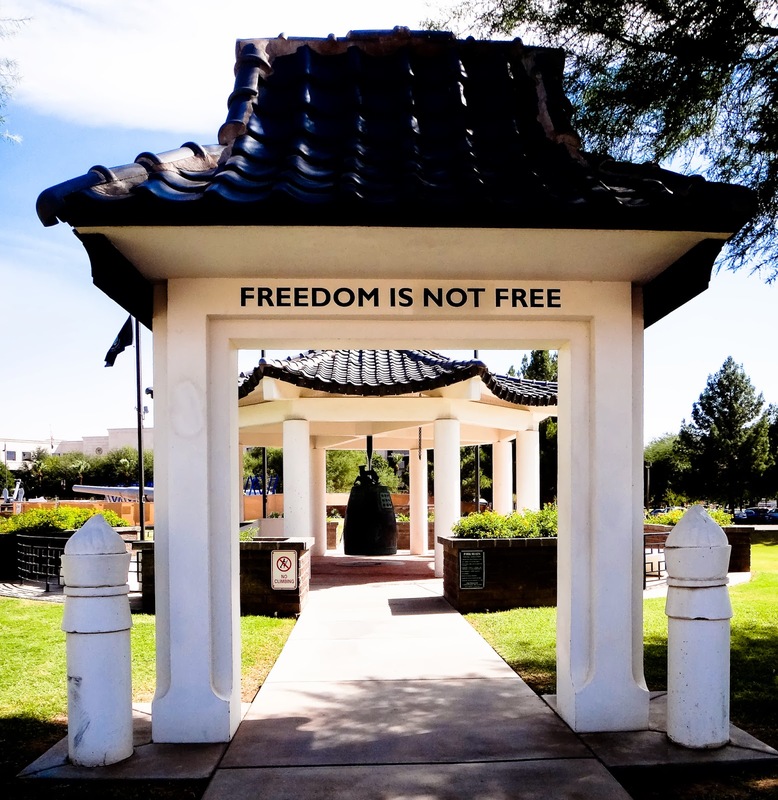 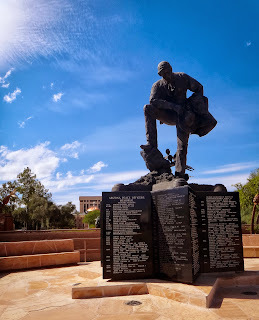 Wesley Bolin Memorial Plaza is the stretch of park between the Arizona state courthouse and the capitol building museum. 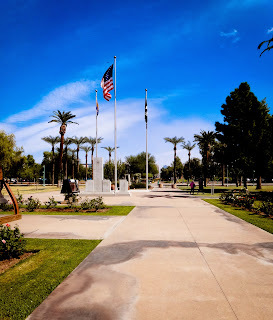 The park holds numerous different war and veteran memorials. 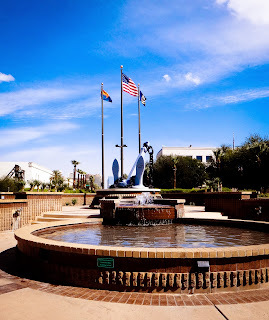 As a plus, Arizona's blue sky makes a fantastic backdrop to it all.